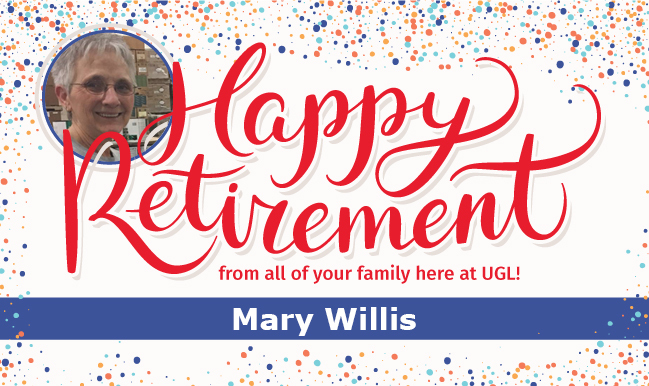 Mary Willis joined the UGL team 21 years ago in the Jacksonville, IL plant. The entire company depends on her contributions. Mary is a remarkably dedicated employee who will be missed as she enters this new phase of her life. She has been instrumental in fostering a friendly, interactive and collaborative work environment. Best of everything Mary and thank you for your service.